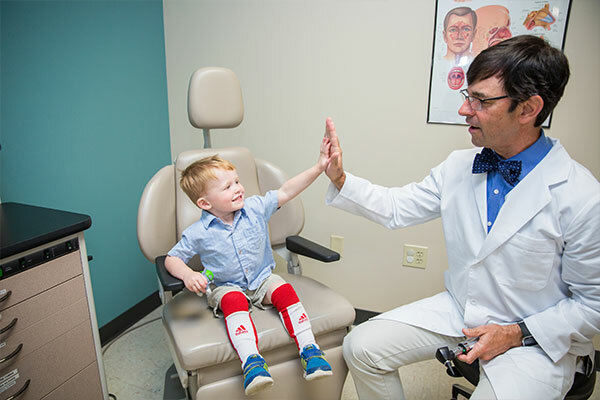 We treat your child's ear, nose, and throat issues with care. Whether you're getting a second opinion on a routine checkup or troubleshooting a reoccurring issue, we're here to help. From common childhood ailments to special conditions, we aim to address the needs of your whole family by providing customized treatment. We will examine your child to determine the type of infection (inner, middle, outer) and the best course of action to relieve symptoms. We also offer consultations on common treatments for reoccurring infection, such as ear tubes. Whether we're performing allergy testing, treating chronic nasal drip, or prescribing allergy medications, we treat your family like ours. If your child is experiencing snoring, swollen tonsils, or other related conditions, our specialists work to alleviate the problem in the least disruptive way we can. Ear tubes are tiny surgical tubes that are placed in the ear drum to allow for drainage of fluid from the middle ear space. In some cases ear tubes are placed to allow the eardrum to maintain its normal shape. If your child has chronic ear infection caused by fluid in the ears, then ear tubes maybe a helpful solution. If your child has speech or language delay, tubes could be a helpful solution. 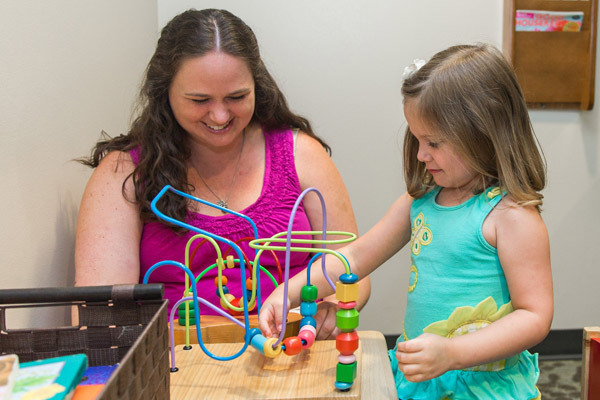 Every child is different and our providers will take time to understand your child’s situation and help you determine if ear tubes are necessary. What water precautions are needed with ear tubes? Ask your doctor whether or not your child should wear custom ear plugs while swimming. My child has ear tubes and I think he/she has another infection. How can I tell? If your child has ear pain, fullness in the ears, hearing problems, or blood drainage beyond the day after surgery, you should schedule an appointment with your doctor. Why is my child snoring? Snoring in young children can sometimes be a sign of other issues, such as swollen tonsils or adenoids. This swelling can cause obstructive sleep apnea which can be disruptive to your child's ability to breathe at night. See your doctor to determine if your child's snoring is indicative of another existing issue. How do I know if my child needs his/her tonsils or adenoids taken out? Frequent infections of the throat and tonsils, snoring, or sleep apnea may warrant your doctor to suggest a T&A (tonsillectomy and adenoidectomy). Speak with your specialist to determine if this is the right choice for your child. What allergy medicines do you recommend for children with allergies? Your doctor will recommend child-strength allergy medications that are safe for your child to use. In general, you should only give your child over-the-counter allergy meds that are specifically marked for children in their age range. Would you like to meet with one of our pediatric specialists?